In Christian doctrine, the fall of man, or simply the fall, was the transition of the first humans from a state of innocent obedience to God to a state of guilty disobedience to God. Though not named in the Bible, the concept for the Fall comes from Genesis chapter 3. 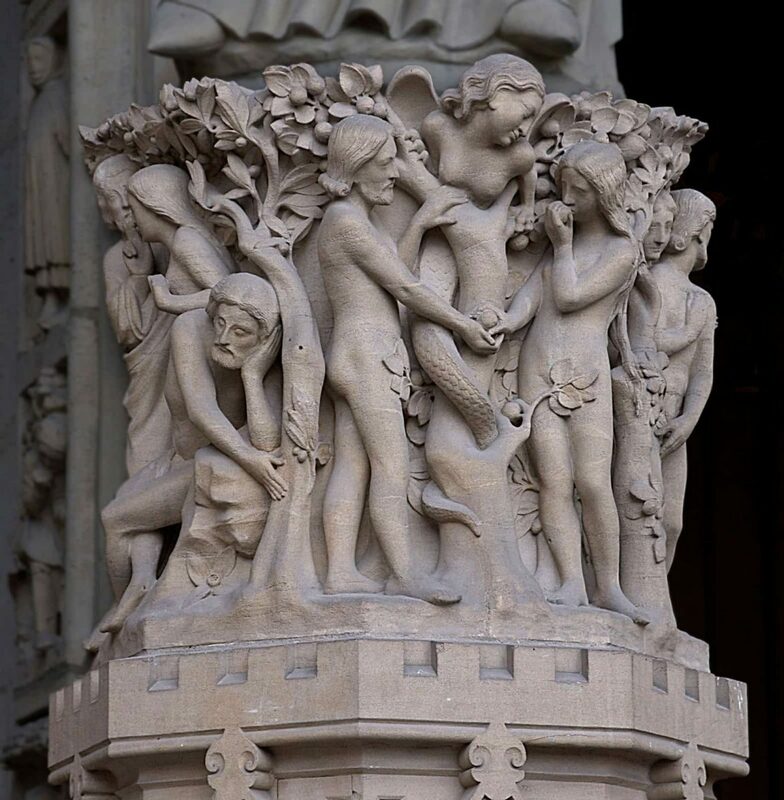 Adam and Eve live at first with God in a paradise, but the serpent tempts them into eating the fruit from the tree of knowledge of good and evil, which God forbade.